When I heard Polaris updated their bushings for the 2017 model year RZR S900/1000 I was happy we had the newest machine as part of our build. I thought the new-style bushings would be an improvement over the horrible bushings that Polaris has gone with in the past, but that’s not the case. The new OEM bushings are just as much junk as the old ones. If your machine seems loose and squeaks, you probably have worn out the OEM bushings. This can happen regardless of the type of terrain you ride in, but especially happens fast if your machine sees wet and muddy conditions. Good thing for you you found this page before you wasted your money on another set of OEM bushings. Be sure to use a quality synthetic grease. 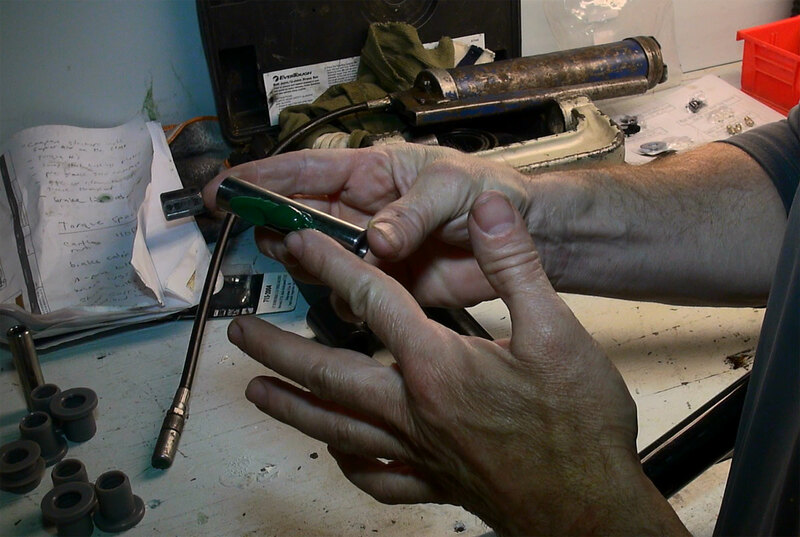 Garage Products started in 1999 by machinist, John Archer, who worked out of the garage at his Pittsburgh, PA home. Over the years John has taken great pride in improving the low quality plastics and cheap metal materials that are used on OEM equipment in the ATV and UTV industry. 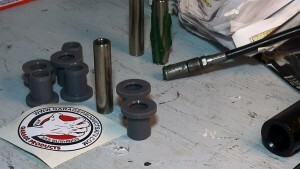 Garage Products has since expanded to a bigger facility in order to keep up with the demand for their bushings. Just about every racer that chases points in the GNCC series swears by GP Bushings. That’s because they offer the most advanced bushing design you’ll find, are made with the highest quality materials possible bar-none and come with a lifetime warranty. Garage Products takes special care to make sure each bushing fits firmly into wherever it’s supposed to go. Their bushings are O-ring sealed, oil-impregnated and made from Ultra High Molecular Weight Polyelylene (UHMW), while their sleeves are Hard Nickel Plated to eliminate wear and corrosion. 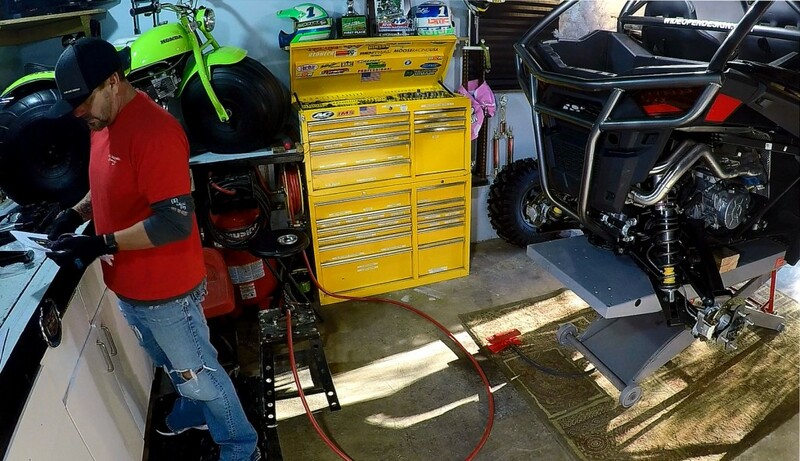 They make bushings for all the popular ATV and UTV models as well as all the aftermarket A-arms, and they will custom-make whatever bushing you might need. Lightly tap the bushing in. If it’s too tight you might want to press it in as not to damage the bushing. As for our install, check out the video above for more details. Be sure to use good quality synthetic grease and completely fill the area with grease – zerk fittings can sometimes allow water to get in, but not if the area is full of grease. GP bushings are spiral grooved on the inside to allow grease between the bushing and the pivot sleeve for extended life. This also offers smooth firm operation without any crazy moans, creaks and squeaks. This happens because the system is completely sealed with the crafty John-Archer-designed O-ring solution that seals out water, mud and dirt. They are said to do such a good job of sealing out the elements that they don’t require maintenance. That is the case only if they’re installed correctly, so be sure to read the directions and not damage your bushings while putting them in. Super ATV A-Arms, Super ATV Tie Rod Kit, Super ATV Rhino 2.0 Axles, Double E Racing Shocks, Keller Ball Joints, Wide Open Design Roll Cage among many other better-than-stock improvements.